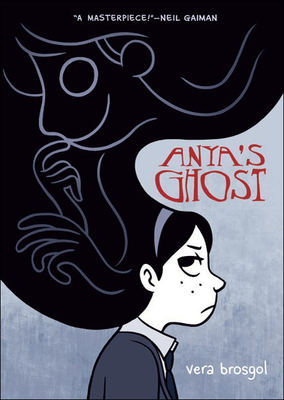 Spooky, sardonic, and secretly sincere, "Anya's Ghost "is a wonderfully entertaining debut graphic novel from author/artist Vera Brosgol. "Anya's Ghost" is a 2011 "Kirkus" Best Teen Books of the Year title. One of "School Library Journal"'s Best Fiction Books of 2011. One of "Horn Book"'s Best Fiction Books of 2011. Vera Brosgol was born in Moscow, Russia, and emigrated with her family to the United States as a child. She has a degree in Classical Animation and currently works as a storyboard artist at Laika, Inc. Her work can be seen in the recently released "Coraline."